AUSTIN, Texas — A devoted adoptive father, husband and abortion abolitionist died suddenly on Thursday after emergency rescuers were unable to locate him in time when he went underwater during a family outing at the lake. Cody May, 31, had just recently moved his family to Texas after residing in Connecticut for many years, where he and his wife Kimberly opened their home to those needing a place to stay. 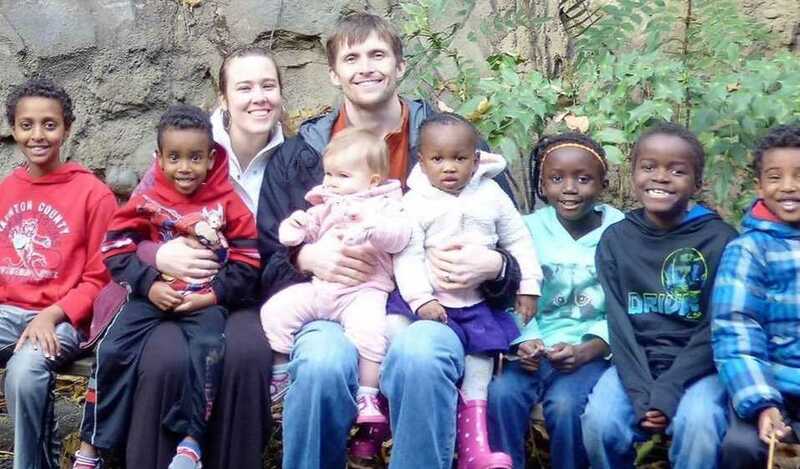 The couple also took to heart the biblical mandate to care for the fatherless (James 1:27), adopting six children—three from Ethiopia, two from the Congo, and one local to Connecticut. May was an ardent abortion abolitionist, as he sought a complete end to abortion as opposed to the incremental approach embraced by many who identify as pro-life. 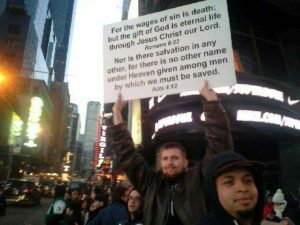 He often stood outside of abortion facilities preaching the Word of God and pleading with mothers not to kill their children. May and his wife personally adopted two IVF embryos, also known as snowflake adoption, after learning that thousands of frozen embryos from in vitro fertilizations are discarded and destroyed. The pregnancy ended in miscarriage. In addition to his own life’s work, May urged and taught others to love the least of these in the name of Jesus Christ. “We have the authority to go into all the world [with the good news], not because we’re special, but our God reigns,” he declared at an abolitionist gathering in Memphis, Tennessee in 2014. According to KEYE-TV, May, who visited Lake Travis in Lago Vista on Thursday afternoon, was wading out to meet his children who were floating on a raft when he suddenly went underwater after unknowingly reaching a drop-off. “As he was walking out, he hit one of those drop-offs and went straight down and he was in obvious distress,” Kristen Dark of the Travis County Sheriff’s Office told reporters. A fisherman nearby tried to help May, but was unable to rescue him. Emergency services looked for May, but after 30 minutes, changed the mission from a rescue to a recovery. Reports state the Travis County Sheriff’s Office Victim Services stayed with May’s family for hours to console them in their grief. May’s body was found by a dive team Friday morning. He and his wife had celebrated 11 years of marriage in August. A YouCaring page was launched Thursday night to help provide for the needs of May’s wife and children, initially setting a goal of $10,000. By mid-morning Friday, the goal was surpassed and extended to $50,000. Elliot Ratzman, who knew May when he was a freshman at Princeton University in New Jersey, shared his sentiments on Facebook. May graduated from Princeton in 2007. “At Princeton he was from day one an unusual sight: a tall thin guy with a cowboy hat, a Southern drawl, an intense gaze, a warm comportment. His ideas and uncompromising faith didn’t fit in well with Princeton’s secular and liberal students, but he was widely well-regarded. Though I don’t share his politics or his religion, I remember with fondness Cody’s moral integrity and consistency,” he posted in part, encouraging others to support May’s widow. Memories of May, and condolences for his wife and family, also poured in from around the country from those who knew him from his abolition work. “His humility and joy both challenged and encouraged me. He walked close with His Lord, fought valiantly for the Kingdom, and has entered into his rest,” another wrote, explaining that they once met May at a conference. “Cody lived for the Lord in a world where so many others never truly live at all. Those without a voice to defend themselves against this world, they lost a champion today,” a third lamented. Editor’s Note: Those wishing to help support the May family, click here or see below.